Cannabidiol is the active ingredient in some prescription drugs that relieve muscle spasm pain, according to the NHS. Cannabidiol (CBD) oil is a neuroactive compound that doesn’t give patients a ‘high’ feeling, but can be used for medicinal purposes, added nutritionist Dr Sarah Brewer. “For general well-being the recommended dose is 10mg to 200mg per day as a food supplement,” said the nutritionist. These are the health benefits of taking CBD oil everyday. CBD could help to relieve muscle tension and fatigue, while boosting concentration and reducing anxiety, according to Brewer. Taking the oil could significantly reduce anxiety, muddled thoughts, social discomfort and anticipatory anxiety, a study claimed. “Cannabidiol is also a promising treatment for panic attacks, obsessive compulsive disorder and post-traumatic stress disorder,” said Brewer. CBD oil may have a protective effect on the heart, the nutritionist revealed. Taking the food supplements everyday could lower your risk of developing heart attacks. It works through anti-oxidant and anti-inflammatory actions, she said. Give your skin an extra glow by taking CBD oil, as it may help to relieve symptoms of some skin conditions. Acne could be prevented by taking the supplements, due to its antibacterial properties. It could also help to relieve inflammation in psoriasis patients. 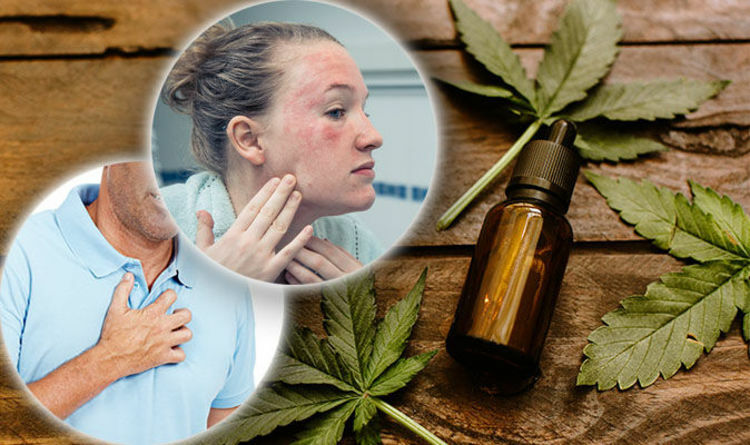 CBD oil’s immunosuppressant properties means it works on skin conditions from the inside out, according to manufacturer Elixinol. Patients with chronic pain could benefit from adding CBD oil to their diet. It has analgesic effects in patients with neuropathic pain, said Brewer. That included patients that were resistant to other treatments. The oil may also help to relieve inflammatory pain, due to its chemical mechanisms, she added.